It's almost hard to believe that winter is gone and spring is actually here. The weather has been so unpredictable lately that if it wasn't for the blooming flowers and trees, we'd still think it were fall or winter. But it's the time to celebrate renewal and nothing says it more than the Easter holidays, which are just days away. Easter celebrations vary from culture to culture and religion to religion. And then of course there's Passover. 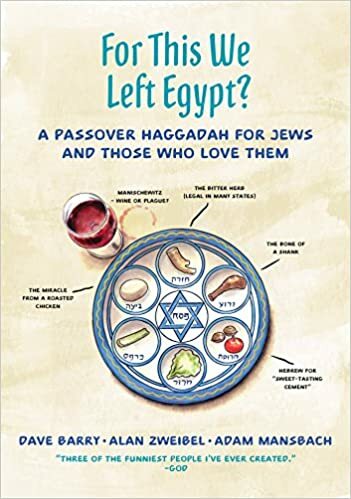 But what ties all these religions together is the presence of food and interestingly it's common to find lamb served at both a Seder and at an Easter dinner. It has symbolic ties to both Judaism and Christianity. So this year I'm making braised lamb shanks for the holiday, which is synonymous with Passover. My Spanish-style recipe is both suitable for Passover and Easter. The lamb is braised in sherry vinegar and white wine, both of which add an acidic tang to balance the richness of the meat. Also included are garlic and onions and the spices cumin and paprika. The braising liquid is partially puréed to create a creamy gravy without the use of cream. I pair the lamb with creamed white beans and sautéed kale for a hearty holiday meal. Your family will love this meal whether you celebrate Passover or Easter. Preheat oven to 350 degrees F. In a small bowl, combine cumin and paprika. In a strip of cheesecloth, combine rosemary, thyme, bay leaves, and peppercorns. Tie into a bundle with kitchen twine. Heat a large skillet or wide Dutch oven over medium heat. Season lamb with salt and pepper and rub with half the cumin and paprika mixture. Sear lamb all over until brown, about 10 minutes. Remove to a plate. Add onions and sauté until soft and translucent, about 10 minutes. Clear a small spot in the pan and add garlic to sauté briefly, about 2 minutes. Stir in remaining cumin and paprika mixture. Deglaze the pan with vinegar and scrape up brown bits from bottom of pan. Add wine and bring to a simmer to cook off alcohol, about 5 minutes. Add back lamb, nestling among vegetables. Pour over with as much broth as needed to cover. Add bouquet garni. Bring back to a simmer, cover, and transfer to oven. Braise lamb until meat is very tender, about 2 hours. After 1 hour, check lamb to turn over and add more broth if needed for coverage. Remove lamb from pot to a platter and cover with foil to keep warm. Strain the braising liquid away from the onions into a saucepan and reserve onions. Let braising liquid rest for about 5 minutes for fat to collect. Skim off fat. Bring to a simmer and reduce by about a third. Add back half the onions and purée using an immersion blender. Add back remaining onions. Pour gravy over lamb shanks. Sere with creamed whites beans and sautéed kale (recipes follow). Yield: 4 servings. Wash kale thoroughly in a large bowl of water. Let drain in a colander. Warm oil in a large skillet set over medium heat. Add garlic and sauté until lightly colored, about 2 minutes. Add kale in batches to skillet and toss until wilted, about 5 minutes. Pour in broth. Cover and simmer on low until leaves are tender but still green, about 5 to 8 minutes. Season with salt and pepper. In the bowl of a food processor, pulse beans until mashed. Using the feed tube, pour in stock while pulsing until a thick mixture forms. Drizzle in olive oil while pulsing until the mixture is silky smooth. Season with salt. Combine all ingredients in a small saucepan set over low heat. Simmer for about 5 to 8 minutes. Remove from heat and let infuse for 15 to 20 minutes.